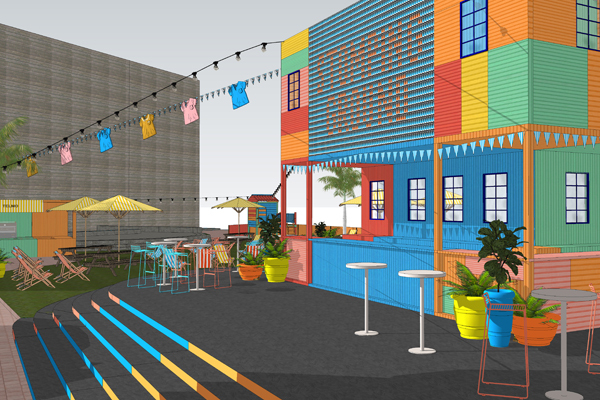 The Arts Centre Melbourne has invited Collingwood’s Stomping Ground Brewing Co to help create an appropriately Argentinian beer garden in their forecourt. It’s an homage to the musical Evita, debuting on stage this month. Arts Centre neighbours Asado are working on a South American menu and live music, performances and tipsy tango lessons will add to the festive atmosphere. Stomping Ground have even created a exclusive brew for the colouful beer garden! 100 St Kilda Road, Melbourne – Open now to 24th February 2019. Once you’ve finished your quick jaunt to Argentina, you can just wander just a few steps over to Fatto’s riverside terrace for their traditional summer pop up. 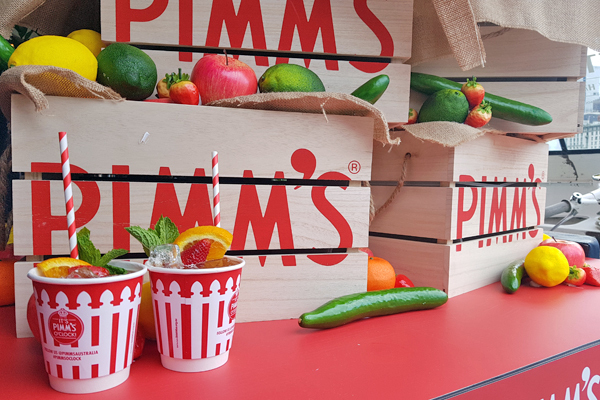 They’ve done sparkling and spritz before, but this season it’s officially Pimm’s o’clock as the welcome sight of a red and white Pimm’s pop-up will soon take residence. Somehow Italian antipasto and English fruit cups combine to taste like Australian sunshine! 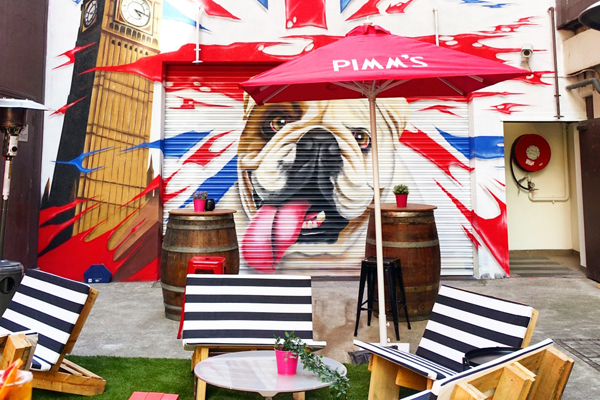 Lizzie’s Lane has appeared behind the Pullman hotel Albert Park. It’s a little slice of Brit pop in the laneway, in ode to the design of the surrounding suburb being inspired by old London town (who knew?) There’s Pimm’s (natch) and cocktails nodding to Harry Potter, royalty and the city, alongside British bites like hot chips with Blodoy Mary salt, Ploughman’s platters and roast beef rolls. Try your hand at Lizzie’s garden party lawn games too! Each Friday, Patricia Coffee Brewers lets Melbourne Gin Company transform their space into a bar dedicated to non-boring G&Ts. 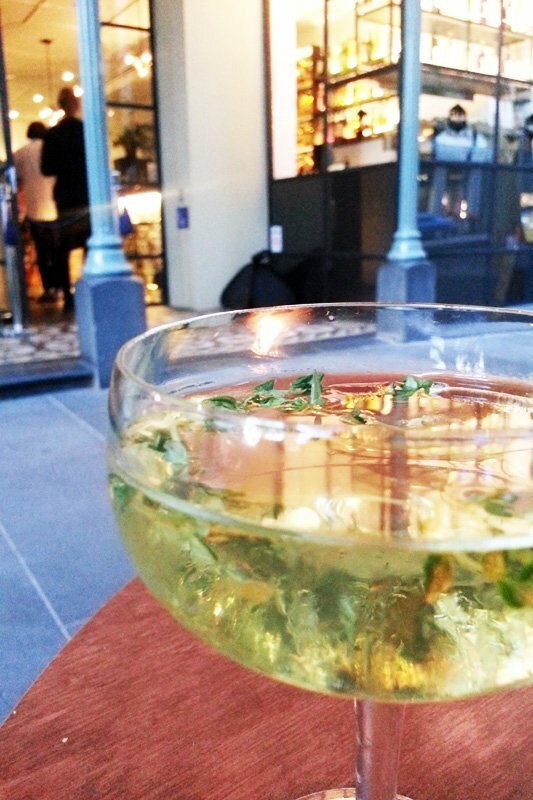 The gin and tonic menu changes each fortnight but one signature tipple remains: the Patricia G&T spiked with coffee. 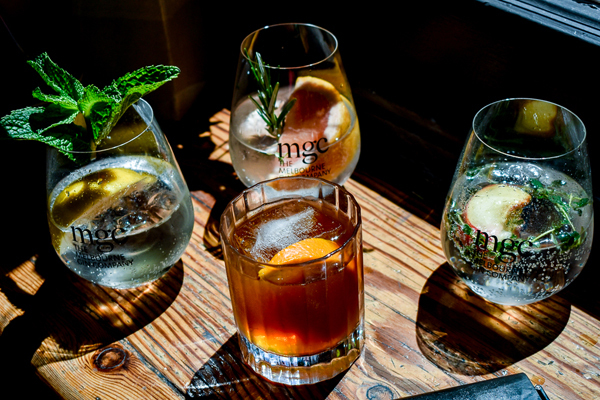 Here, you can also try and buy both of MGC’s gins – the original dry and the brand new Single Shot gin. The National Gallery of Victoria’s ‘Escher x Nendo | Between Two Worlds’ exhibition can be a bit mind bending. Adding gin to the experience may or may not help! Yet Bombay Sapphire are stirring up your creativity with their Gin Garden bar as part of the NGV Friday Nights line up anyway. 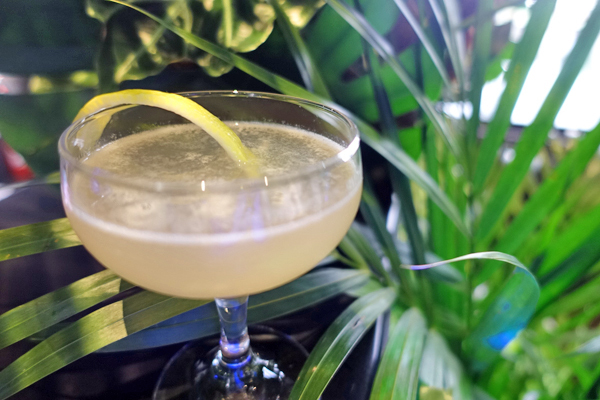 Sip Bombay’s signature gin cocktails surrounded by plant-life, fresh air, art and DJ driven sounds (and don’t forget to go peek at the exhibition itself). Could your garnish game rival a work of art? So you don’t have the spare hundreds of thousands of dollars required to lease one of those eye-catching beach boxes that dot the coast from Brighton to Portsea? So what. 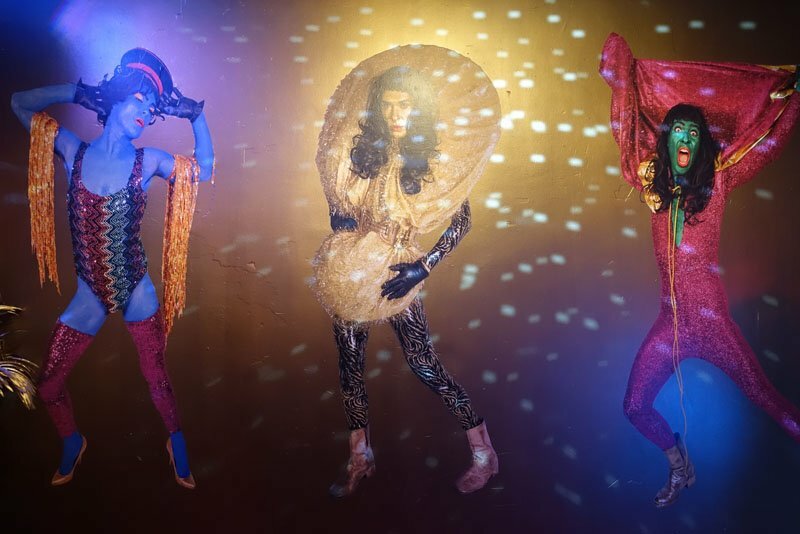 The Wharf Hotel lets you recreate the experience for a limited time only. 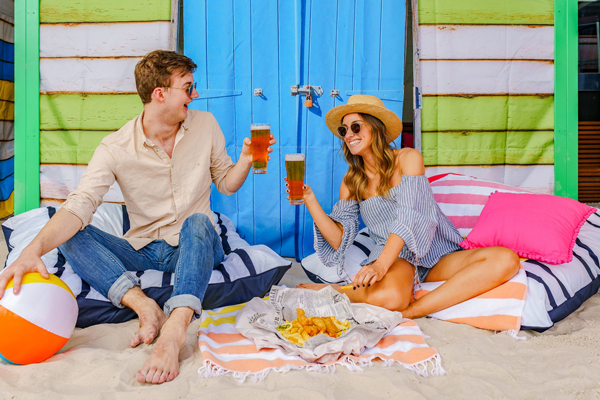 They’ve “built” beach boxes surrounded by deck chairs, real sand and an ice cream cart along the Yarra (it’s not quite Rye back beach, but still) that you can rent privately. Unlike Santa I don’t care if you’re naughty or nice; I only care about what you chose to drink with soda and ice. I suspect, Bar Humbug on the other hand prefers you be naughty. 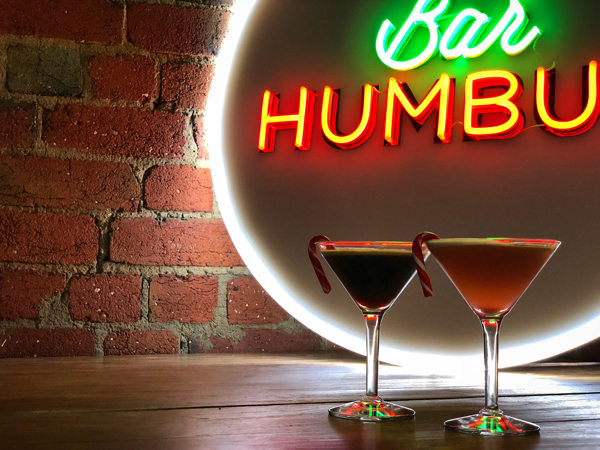 At this pop-up bar there will be two dichotomous Xmas cocktails to choose from, photo opps with (bad) santa and a sure to be terrible/awesome festive soundtrack. Watch out for sneaky mistletoe.